The SpaceX Dragon splashed down on time off the Pacific coast of Baja Calfornia completing its ninth cargo mission. 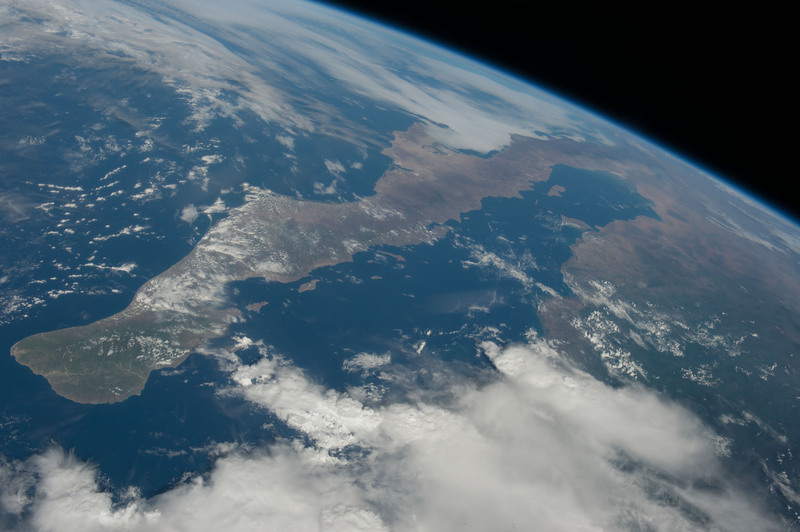 This photograph of Baja California and the Mexican coastline was taken Aug. 22, 2016 from the International Space Station. SpaceX’s Dragon cargo craft splashed down in the Pacific Ocean at 11:47 a.m. EDT, approximately 326 miles west of Baja California, marking the end of the company’s ninth contracted cargo resupply mission to the International Space Station for NASA. Following splashdown, Dragon will be recovered from the ocean and put on a ship for transportation to a port near Los Angeles, where some cargo including research will be removed and returned to NASA within 48 hours. Dragon will be prepared for a return journey to SpaceX’s test facility in McGregor, Texas, for processing. Dragon is currently the only space station resupply spacecraft able to return a significant amount of cargo to Earth at this time. Dragon is returning more than 3,000 pounds of NASA cargo and science samples from a variety of technological and biological studies about the International Space Station. Results from the Heart Cells study, which investigated how heart muscle tissue contracts, grows and changes in microgravity, may help advance the study of heart disease and development of drugs and cell replacement therapy on Earth and on future space missions. Other experiments returning include tomato “space seeds” that were flown to station and will be planted on Earth as part of STEM education program with NanoRacks; Multi-Omics, which looked at impacts of space on astronauts’ immune systems; and OASIS, which studied the behavior of liquid crystals in microgravity, including their overall motion and merging of crystal layers.